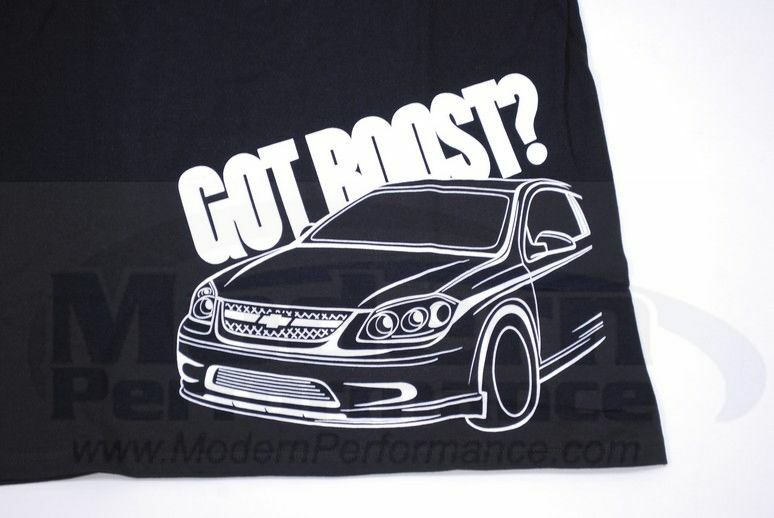 A t-shirt design for the Cobalt SS owners! Whether you're supercharged or turbocharged, show everyone you've got boost! This shirt is crafted with the best quality T shirt we could find, a Hanes Tagless Tee, double needle seam, 90/10 blend T shirt. To make sure its going to be durable through many washes, its silk screened here in the USA! Limited Sizes Remaining: Small, Medium & XXL (XXL is $2 more).